Chengdu Lubaiyi Shoes Co., Ltd.
Ningbo Byring Imp & Exp Co., Ltd.
Chengdu TXYL Shoes Co., Ltd.
Shanghai Ciying Technology Co., Ltd.
Bohemian style comfortable large size beaded and metal buttoned lady clip toe flat sandals Beaded and metal, rich Bohemian style, the size of 35 to 41 yards, can be customized any number of yards and colors, welcome to order! The factory has a professional production design team and improve the management system and the use of fine management, from raw material screening, standardized production, fine processing and a good after-sales service system. Our shoes are mainly selling domestic and foreign markets, exports to Europe, the United States, Southeast Asia and the Middle East and other countries to meet the needs of different consumer groups. Chengdu YHT Trading Co., Ltd.
Quanzhou Village Pigeon Trade Co., Ltd.
We can make woman shoes and boots with your brand. 2) Different Style different MOQ,normally 30 pairs of woman shoes and boots. If you have more questions about women shoes and boots, please contact as now. Urumqi Sisilina International Trading Co., Ltd.
Guangzhou Joyful Way Import & Export Co., Ltd.
Fujian Zhenlong Shoes Co., Ltd.
Guangzhou Fyaxin Leather Co., Ltd.
it's a company with own factory with more than 8 year's experience. And it would be great if you can inform us in advance. We offer the service of adding customers&rsquo; logo on the bags, etc. Alibaba.com offers 398,544 sandals products. About 32% of these are women's sandals, 16% are women's slippers, and 7% are men's sandals. 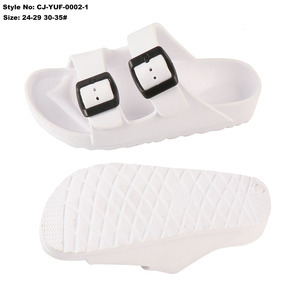 A wide variety of sandals options are available to you, such as rubber, pvc. You can also choose from free samples, paid samples. 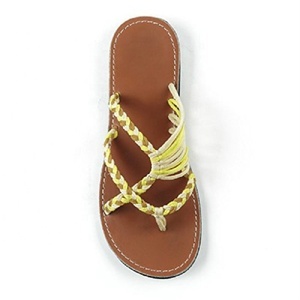 There are 385,187 sandals suppliers, mainly located in Asia. The top supplying countries are China (Mainland), India, and Thailand, which supply 95%, 1%, and 1% of sandals respectively. Sandals products are most popular in North America, Western Europe, and Eastern Europe. You can ensure product safety by selecting from certified suppliers, including 38,747 with ISO9001, 24,424 with Other, and 17,555 with BSCI certification.